Batman: Arkham Knight is the fourth instalment in the Batman: Arkham series and also the successor to the 2013 Batman: Arkham Origins. 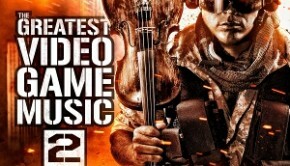 The soundtrack for the game was released in two volumes, and this review will cover both of them. Nick Arundel once again returned to compose music for the series, having worked on Arkham Asylum and Arkham City previously. But instead of his usual collaborator Ron Fish, Arundel co-composed the score with newcomer David Buckley this time. 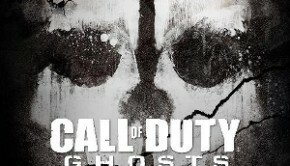 Buckley had worked on a few high profile titles, including Call of Duty: Ghosts and Metal Gear Solid 4, and he is no stranger to composing for Hollywood films as well. It will be interesting to hear how the addition of Buckley will influence the sound that Arundel have already established for the series. As opposed to soundtracks from the previous series which mainly consisted of Arundel’s compositions, Arkham Knight: Original Video Game Score featured contributions equally from both Arundel and Buckley. 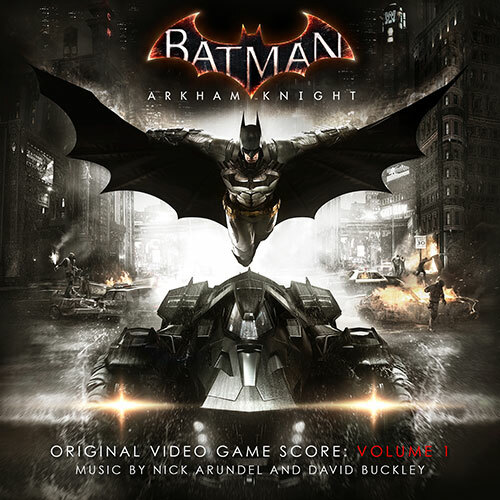 Volume 1 begins with “Arkham Knight Main Theme”, composed by Buckley, is perhaps the most elegant title theme in the main series. While percussions and electronic beats are used to accentuate the underlying tension, the theme is propelled by flowing strings and ethereal chorus. Although the tone of the track grows fuller as it progress, there was constantly a sense of restraint to keep the track from its climax so that it would stay as a looming premonition instead of a roaring proclamation. “Evening the Odds”, the first track by Arundel in Vol. 1, immediately contrasts with Buckley’s more subtle approach. While the track starts off with soft drones, soon it transitions abruptly into an intense ostinato by the strings supporting the brass which propel the track with the melody. “Remnants”, Arundel’s lengthiest contribution to the score running over six minutes, is a comparatively subdued track that consists of a few simple repeating motifs driven heavily by strings alone for the most part. “Gunrunner” represents Buckley’s more bombastic composition for the score. Like “Evening the Odds”, while the track begins with foreboding drones, the tension increases exponentially after an immediate transition as the violin soars with the melody and the percussion sustains an unrelenting momentum. “Vendetta” is another string driven piece by Buckley that begins with unsettling tremolos, which would grow into an ostinato consists mainly of notes half a tone apart for a jarring sound. Arundel’s “Insurgency” stood out immediately with its prominent use of synth right from the start of the track in the more orchestral oriented album, although the synth drops out later. 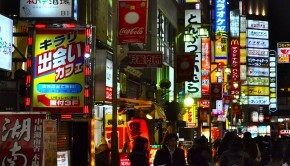 The synth stuck out in the orchestral track, giving off an unsettling vibe amidst the strings. After the synth fades, the strings play a rapid pattern in different keys and keep the tension high with the help of the percussion. In contrast, “All Who Follow You”, also by Arundel, is a relatively tranquil track with a sense of resolution. The track revolves and expands upon a motif in different register of the strings with a heartbeat-like steady pulsing underneath. Unlike Volume 1 which interweaves Arundel and Buckley’s compositions, Volume two groups their tracks separately. Buckley’s tracks are placed in the first half of the album, while Arundel’s fill the second half. Starting off Volume 2 is Buckley’s “Nitroglycerine”, a track driven by violins playing rapid chromatic figures in the upper register, creating a screeching dissonance that exudes aggressive tension. Buckley’s “Creature of the Night” first half is composed of soft drones in minor tones. Eventually some disquieting electronic beats are introduced before the abrupt entrance of the percussion, strings, and brass, which dramatically increases the gravity of the piece. “City of Fear” is an atmospheric piece which begins with a simple descending motif of two notes a tone apart sung by a chorus, which creates a spacey dissonance. And then the percussive beats and violin tremolos would join in, grow until a swelling point and the drop out hastily before the recurrence of the chorus motif. Towards the end of the track the strings and the chorus would join in harmony with the brass and finish the track abruptly at a climatic point. “Ode to Perfection” is a rather pleasant surprise that I would not have expected from the album. It is a classically influenced vocal piece sung by a male baritone in Italian. Buckley composed the track in an ABA format, of which the A section is in waltz rhythm with call and response phrases between the vocalist and the flute. While the B section largely retains the same format, the waltz rhythm played by the strings changed to rigid patterns with one-note repetitions, which adds tension to the piece along with the introduction of brass instruments. After that the track repeats and finishes with section A. While Buckley’s attempt at a classically influenced vocal piece does not merge well with the rest of the album, it does not detract from the brilliance of Buckley’s composition. “The Order” is a largely acapella chorus piece that attempts to emulate church choral music with intricate vocal arrangement and layering. “Prophecy” combines the chorus with strings and brass as well as rapid electronic beats pulsing at a constant rate to create an adrenaline-filled track. All of the elements join together right from the beginning of the track and constantly playing ascending motifs to build up the tension and finally culminates in a climactic ending. Moving on to Arundel’s contributions to Volume 2, “Zeppelin” is a lengthy track at around 6 minutes. The track relies on rapid phrases and notes repetition, as well as arpeggio figures, played by the strings supported by a steady timpani rhythm to create a sense of urgency, not unlike a number of other tracks on the album. Thanks to its running time, the track is able to fully expand its central motif, which was heard at the start of the track unadorned before the rapid figures flood in. “Stagg Enterprises” is a track heavily rooted in its C-sharp minor tone. The track begins with drones in its tonic note, C-sharp. The majority of the track is made up of variations of a motif made up of the first three degrees of the C-sharp minor scale. There is even a section in the track where Arundel interspersed the motif among a descending C-sharp minor scale, serving as a bassline in a really low register. The way Arundel builds and expands the track on a scalar figure here is quite ingenious. “Jokerfied” is an ominous track which has the booming brass carries the sparse bassline, while the strings tread lightly in the upper register. At many points in the tracks the brass and the violin on tremolo swells together, as if the track is going to burst into an intense section yet it never did. The track evokes the sense of a looming threat really well. 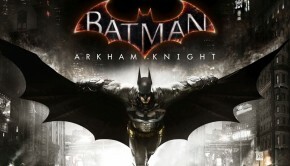 The score of Batman: Arkham Knight represents a combination of solid efforts from both Nick Arundel and David Buckley. While Arundel’s tracks are more straightforward in conveying the mood, Buckley’s compositions tend to be show more nuance. As a result, their music complements each other and come together to form a cohesive listening experience. The two albums contain selection of cinematic and atmospheric tracks that encapsulate the bleak atmosphere of Arkham city really well. If you do not mind a soundscape that leans heavily towards a grim and intense mood, Batman -Arkham Knight- Original Video Game Score: Volume 1 & 2 will be well worth your time. Posted on January 27, 2016 by KT Wong. Last modified on January 31, 2016. Great review, KT! I’m extremely curious to hear this one – I need to check it out!